From Asparagus to Zucchini, 3rded. Place cucumbers and onions in a large glass bowl. Combine remaining ingredients in a saucepan and bring to a boil. Cook and stir until honey is dissolved. Pour hot liquid and over cucumbers and onions, toss well, and let cool. The cucumbers will give off some of their juices; keep them submerged in the liquid while they cool. 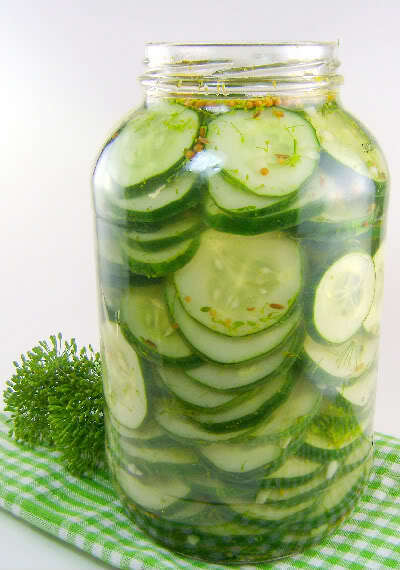 Transfer pickles to 3 pint jars, cover tightly, and refrigerate at least 24 hours before serving. They will keep for a week or so.